Atleticos de San German (BSN) inked 29-year old American forward Eugene Phelps (198-90, college: LBSU). 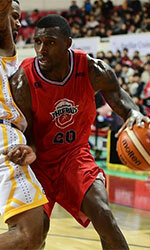 He played recently at Seoul Samsung Thunders in South Korean KBL league. In 37 games he recorded very impressive stats: 26.2ppg, 13.5rpg, 3.1apg and 1.6bpg this season. Good year as he was selected League Player of the Week (3 times). The last season Phelps played at Soles (LNBP) in Mexican league where in 53 games he was third best scorer with remarkable 21.0ppg and had 8.6rpg (#5 in the league) and 2.0apg. Phelps helped them to win the league title. 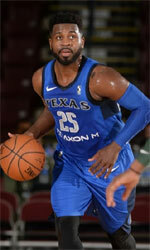 A very good season in his career as he was awarded Latinbasket.com All-Mexican LNBP Player of the Year, Import Player of the Year and Finals MVP. He is a very experienced player. Phelps has quite traveled the world as his pro career brought him to five different countries on three different continents (Asia, Latin America and of course North America). Phelps has played previously professionally in Philippines (Phoenix), Taiwan (Kinmen Kaoliang Liquor), Puerto Rico (Capitanes and Brujos), Mexico (Fuerza Regia, Frayles de Guasave, Abejas and Dorados) and Dominican Republic (Indios de San Francisco). He attended Long Beach State University until 2012 and it is his seventh season in pro basketball.